The possibilities are endless for controlling the light, shade and privacy within your home or office environments. 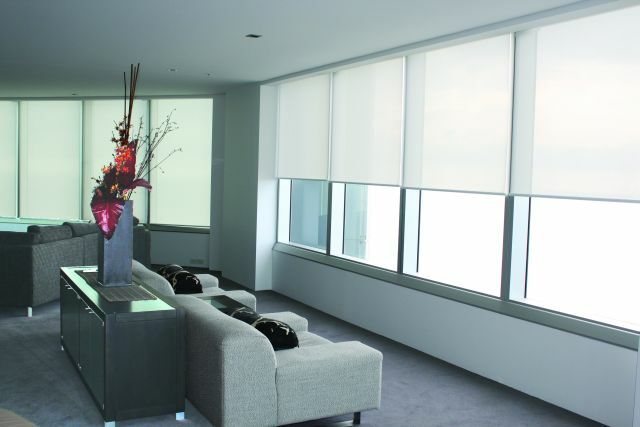 Perfect for operating larger blinds and groups of blinds, motorised roller blinds operate quickly and quietly. Chains are replaced with an unobtrusive motor system and a modern compact remote that can be designed to suit any individual requirements. The C-bus compatible motor system will allow you to integrate the roller blinds into your complete home automation system. Make life easier with the simple convenience of motorized roller blinds so they will easily fit comfortably into your lifestyle.